Showing results for tags 'MiG-17'. I have been working on this kit for a few months now despite it starting off as a 'quick build'. I would like to strip it all back and rescribe then repaint but I have too many other kits to build and this was not a serious kit, just a fun one. Hi all Print Scale do attractive decals for Mig-17 without mentioning the exact variant they are destined for. 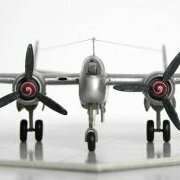 https://www.hannants.co.uk/product/PSL72008 Please any recommendations for a Mig-17 kit in 1/72 scale? In particular the Egyptian version? Are there any pics on the internet that will assist? Thanks in anticipation. M.M.